It’s no secret that women are vastly underrepresented in the majority of STEM (science, technology, engineering, mathematics) fields. In the United States alone, women make up a mere 25% of the STEM workforce, and the numbers in computer science and engineering are especially low. Yet with the exponential growth of STEM jobs means there is a huge need to fill the gender gap in order to keep up with demand. 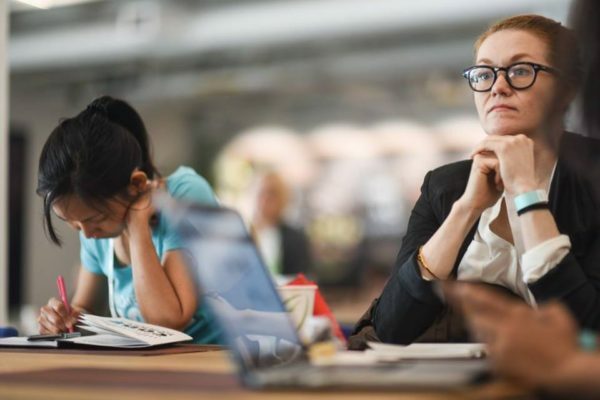 This is why we are seeing so many initiatives to encourage women in these fields, as well as programs and organizations that seek to inspire young girls at the early end of the career pipeline. 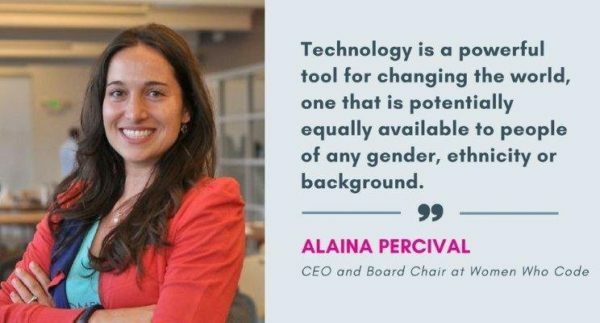 One woman who has been working hard to empower women globally in STEM jobs is Alaina Percival, the CEO of Women Who Code. The international non-profit aims to inspire women to excel in technology careers and envision a world where women are proportionally represented as technical leaders, executives, founders, VCs, board members, and software engineers. So far the organization has executed more than 5,000 events around the world, garnered a membership exceeding 100,000, and has a presence in 20 countries. When Alaina first moved to the Bay Area she was immersed in the tech culture, meeting people who were doing exciting things at amazing companies. She wanted in on that world. Starting from “scratch” with no real background in the industry was a challenge, but it’s one that she thoroughly enjoyed and found herself falling in love with the industry and the people in it. Originally from Atlanta, Alaina then moved to San Francisco. She then decided to enter the tech industry and knew that she needed to learn coding to compete in the tech market. She’s always loved learning new things, so she used a side project that she had been working on for years as a prototype to teach herself the basics, and then got a lot of help from talented friends and members of the Women Who Code community to progress her education. She joined Women Who Code right as it was getting started and quickly got involved with the leadership team. 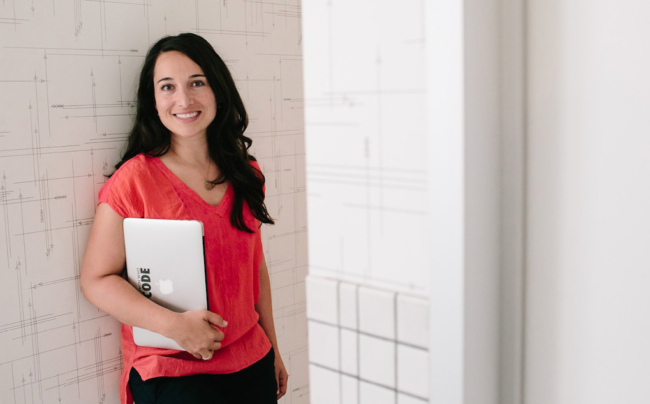 She was working with a lot of engineering executives and noticed fewer than 5% of women were getting recruited into top engineering positions at funded startups. That made her see the potential that Women Who Code could offer, so she started focusing on helping women to excel in technology careers. When it comes to why it’s important for women to learn to code, Alaina says that all the top careers lists have software engineer at or near the top. She adds that you can become a software engineer even if you didn’t study for it in school. That gives career aged women and young women a great incentive to learn. Additionally, all industries are going to be technology industries in the future, so we will see more and more leaders and executives in those companies having some technical experience. It doesn’t matter if you are interested in healthcare, finance, fashion, media, or shipping all of the leaders of those industries would benefit from technical experience. One of the coolest things about you is that you don’t come from a tech background but were able to learn the industry from scratch after moving to San Fran. What motivated you to do this? I looked around and I saw that every industry was becoming a tech industry. The innovations being developed by engineers were being implemented to improve the capacity and functioning of businesses in every field, and that was really exciting. I wanted to be a part of that revolution so I jumped in, started learning, and got involved wherever I could. And I still am. Women Who Code became an integral part of your early tech career in more ways than one. What did you learn about women in the industry from this organization? One of the things that Women Who Code tries to emphasize is that there are already many talented, successful women in tech doing groundbreaking things. Through my involvement with the organization I met a lot of those people, and I found that they had some of the most incredible and inspirational stories to tell. Why should people care about more women entering the tech field? When women enter the tech field it has an impact on a personal, community, and global scale. Individually, software development jobs have some of the highest levels of satisfaction and a median income that is 42% higher than other professions. As an engineer, women have the ability to earn more, and when they do they tend to reinvest 90% of their income back into their families and their communities. At the same time diverse teams perform better, and those with women in leadership roles have a 34% higher ROI. Can you tell us more about how tech plays a major role in many other industries today, especially software engineer positions? Technology is a part of every industry and it’s changing the way that business is done. In order to be competitive companies have to be able to take advantage of the innovations of tech, and that means having talented engineers in key and leadership roles. By empowering women to succeed in technology we are fueling the future of every business, and ensuring that the foundations of success are set with pillars of inclusion and opportunity. How did you eventually become CEO of Women Who Code? To be honest, it was never something I set out to achieve and in fact I felt a little uncomfortable stepping up at first, having not come from a traditional engineering background. However, as I became more involved in Women Who Code, I started taking on more responsibilities. Finally it became apparent that we would be a lot more effective as an organization if I stepped into the role, so I started the filing work for our 501c3. Other orgs such as Girls Who Code and Black Girls Code are empowering girls at the start of the pipeline to help eventually close the gender gap. Why are these organizations important? It’s important to support women in tech at every point along the pipeline and at all levels. Right now there’s a lot of emphasis on teaching girls and women to code, but it’s also important to ensure that the industry is a great place for them to work when they start their careers. That can be done by supporting women in tech right now, and breaking down barriers and biases that make it harder for women to be successful. It’s not just the lack of women, but especially lack of women of color in tech. Why do you think this gap exists and how is your organization working to engage underserved communities? Half of people of color are women, and as a global organization, Women Who Code has a large number of women of color in leadership positions. Intersectionality is very important to us, and we understand that diversity encompasses a lot of different things. That’s why we work to support inclusivity in all aspects of the technology industry. 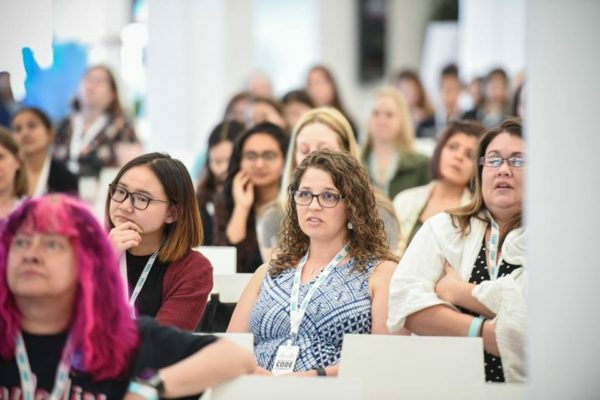 With the recent controversy over the Google memo, as well as numerous stories of sexual harassment in various major tech-based companies like Uber and Tesla, how does WWCode hope to change the narrative about women in tech? Women Who Code works to support and highlight successful women in the tech industry so that we can help to add more leaders and role models who can change both the perception and the function of the industry. We also work directly with companies to help them better retain, promote, and hire women in a positive way. What are some of the ways Women Who Code is working with women overseas? 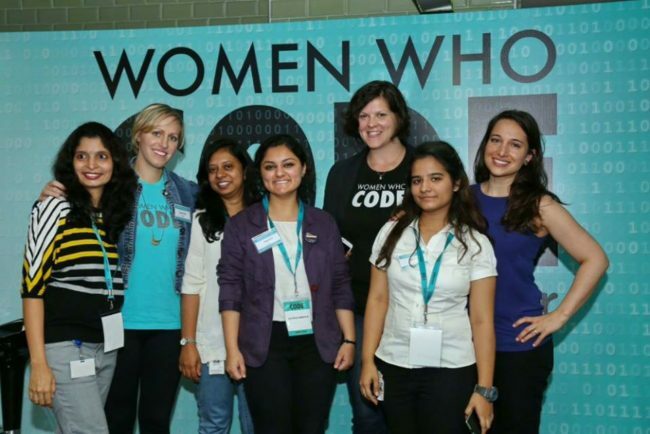 Women Who Code has Networks located in 60 cities and 20 countries. These host 1,700 free technical training and professional development events each year, and we have a leadership training program that has helped more than 500 women advance their careers through mentorship, guidance and opportunities. In addition WWCode gives away $1M in scholarships and tech event tickets annually to coding schools and conferences around the world.